What’s Most Likely to Infect Your Device with Malware? Which country do you think hosts the highest number of malicious websites? If you guessed the USA, you’re correct! Spammers and hackers don’t just operate out of mysterious Nigerian gold mines, they are alive and well in America, too. Typically, these fall into one of two categories: malicious software (malware) and phishing scams. Malware directly threatens devices by triggering automatic software downloads, while phishing scams try to capture personal or financial information in order to steal the user’s identity, money and security. Many antivirus software providers offer anti-malware protection, but phishing scams can be more difficult to avoid. ● claims that your Mac is running slow or your device is already infected. TIP: Landed on a malicious page? Get off it fast and then check your programs and downloads for any new software you don’t recognize. While there are plenty of free tools and programs available to download, you’ll notice that a lot of the time, installation takes you through a few extra steps than usual. Typically with pre-ticked boxes for extras, these offer a free trial, some form of browser extension or a change to your default search engine to something you’ve never heard of before. Untick all these boxes before you proceed. More than just an irritation, there’s every chance you’re really getting saddled with spyware that tracks what you do online and sends this back to the malware’s creator, possibly along with any sensitive data it’s captured, too. It’s also possible that you’ve inadvertently downloaded a Trojan Horse – a vulnerability-riddled piece of software that opens your computer up to future attack. While the temptation to get stuff for free can be great, handling stolen goods doesn’t just present a moral problem, there are security concerns as well. You never really know for sure if the ripped-off version of that TV show you’re after is the real deal, or if it’s actually a trap posted by cyber thieves to trick you into willingly downloading malware, including viruses and Trojans. In fact, torrenting is a gift to hackers. 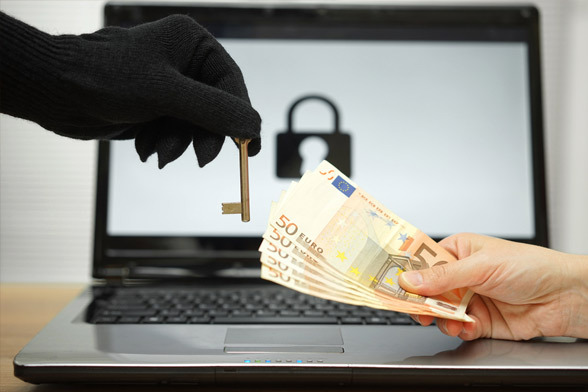 Among the many dangerous forms of malware distributed this way is ransomware – a particularly unpleasant piece of code that takes your files hostage and makes you pay for them to be released. Most people are much more cautious than they used to be about opening any attachments that crop up in an email, even when they seem to have been sent from someone you know. But some of these scams are getting pretty sophisticated and you need to be vigilant about which emails you trust and what you open. If you don’t recognize the name of someone who sends you an email with an attachment, delete it without opening or clicking any links. If you know the person but you’re not expecting them to send you a file, or if there is anything odd about the email (the message doesn’t sound like them, for example, or they haven’t explained what the attachment is) don’t open it either. And don’t reply, either. Give them a call, compose a fresh email or contact them some other way to check whether or not it really came from them. Don’t give into your curiosity – if it’s malware, getting rid of it could be a nightmare. “Malvertising” is a growing and pernicious problem – not least because it provides a way of wheedling into sites and platforms you’d expect to be sound. Brands like Spotify, for example, was hit with a severe malicious advertising attack in 2016, impacting millions of users. The problem is that most sites don’t choose what ads they display; instead, they are placed automatically by an advertising distribution networks that might deal with thousands of websites at once. If hackers infiltrate these networks, fake ads containing dangerous pieces of code can end up getting placed instead. Sometimes it takes you clicking on the ad to open up a dangerous website, but other times it triggers this without you doing anything at all, potentially infecting your device with malware in the process. Ever tried to visit a website and instead had some weird warning flash up telling you that you have a virus, or pushing another product, or just generally the page you’re seeing is totally different to what you expected? Sometimes when a site has internal vulnerabilities, hackers are able to jump in and insert malicious code, or place malicious ads as we talked about above, that immediately forward you to the page or popup they want you to see. This happens so fast that you probably won’t spot it happening, but whatever you see on the new page – don’t touch it. Anything you click will probably download malware. If you can’t see a way to cross off the window and it’s taken over your screen, try CTRL+ALT+DEL and close the browser manually, or restart your computer if you need to. The very best way to prevent against accidentally clicking on something nasty, becoming the victim of an automatic malicious ad scam or otherwise downloading malware is to have a comprehensive internet security suite in place. The top antivirus software out there don’t just quarantine known viruses and other forms of malware, they evolve with the threat, providing regular updates to keep up with innovative hackers that want to steal your stuff. They actively block toxic code before it can hurt you and provide perks like malicious link and website identification, and email scanning. 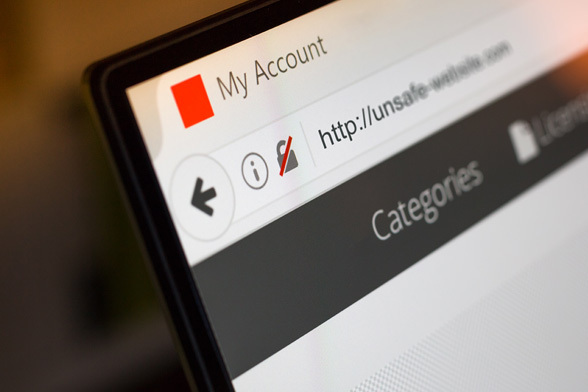 As cyber criminals find ways to breach even the best established sites, you can never be too careful – lacking proper antivirus just isn’t an option anymore. Tools like these will be invaluable in keeping you out of harm’s way on your travels around the world wide web. McAfee vs. Windows Defender: Which Antivirus Software Rules? Kaspersky vs.Bitdefender Which Antivirus Wins Out?